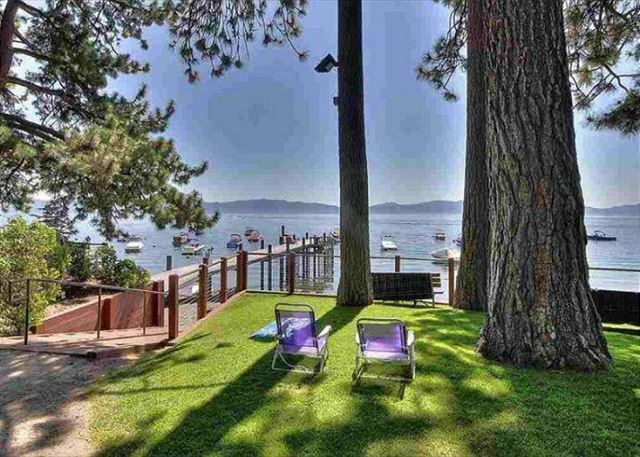 Beautifully remodeled Tahoe City home in Tahoe Park with a nice lake view and Tahoe Park HOA access. 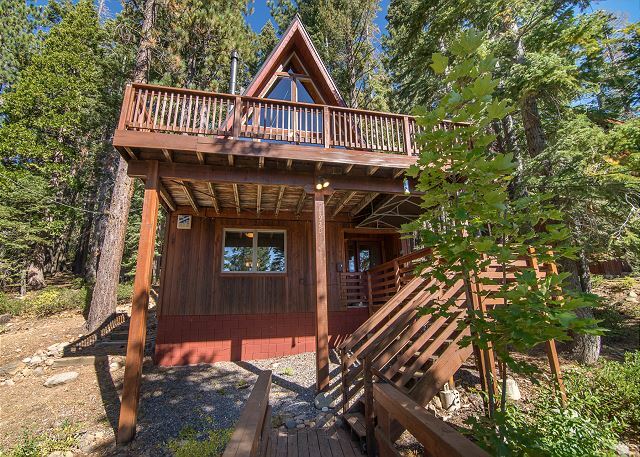 Close to major trails, ski resorts, and beaches. 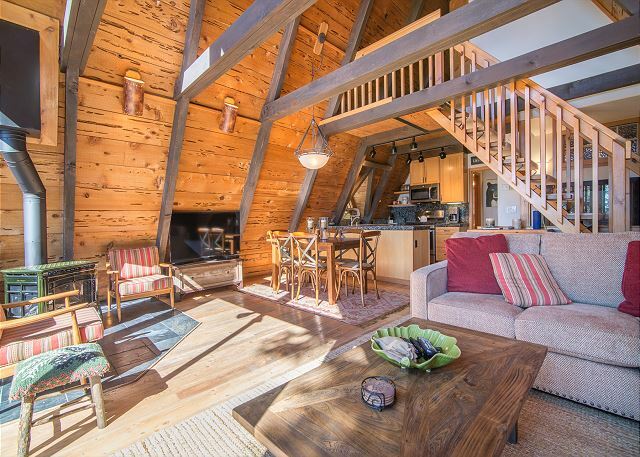 2 bedroom plus loft! 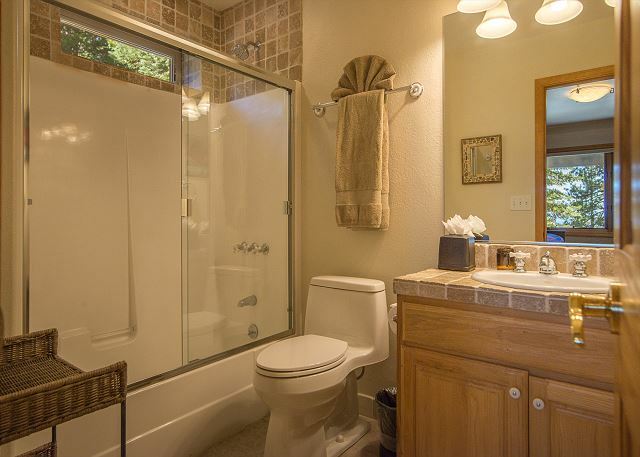 Enjoy treetop living in this beautifully remodeled home with a spectacular view of the lake. 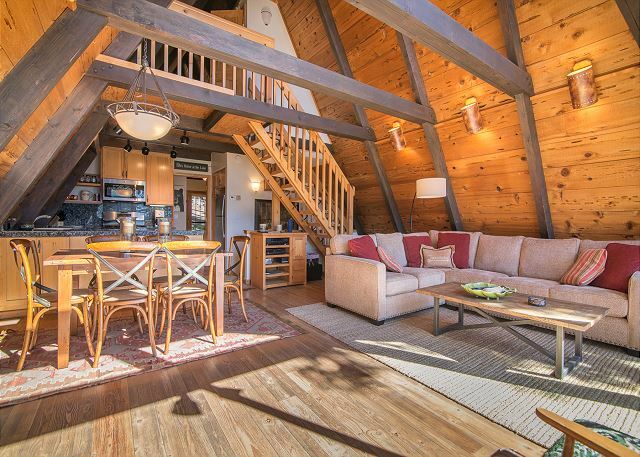 The open-floor plan, warm tones, and inviting fireplace makes this an ideal mountain retreat. 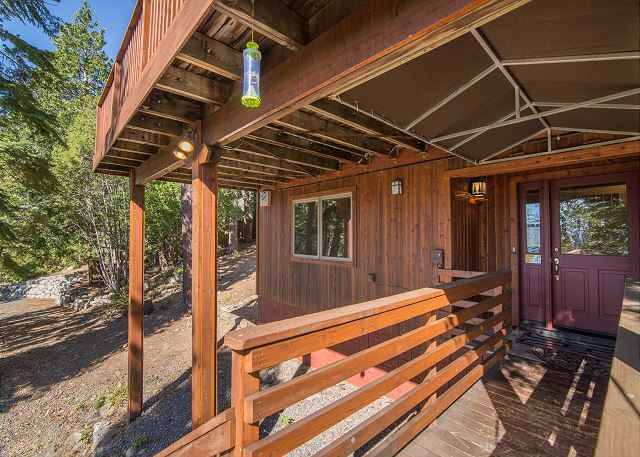 The sunny deck and large lake view make for a perfect setting. 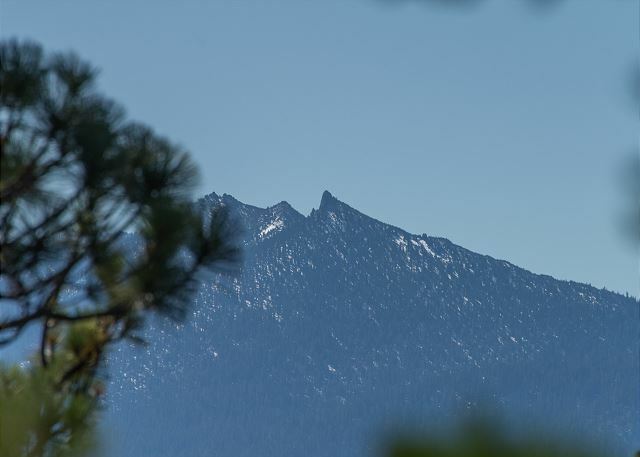 Close to the famous Sunnyside and Fire Sign restaurants, all of Tahoe City's restaurants and shops, and the private Tahoe Park Beach. 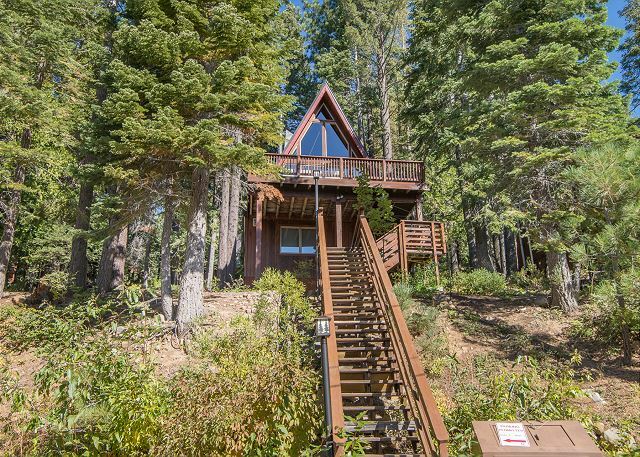 The home also offers easy access to Paige meadows for hiking, snow shoeing or cross country skiing, and is a short drive to Alpine Meadows, Squaw Valley and Homewood Ski Resorts. 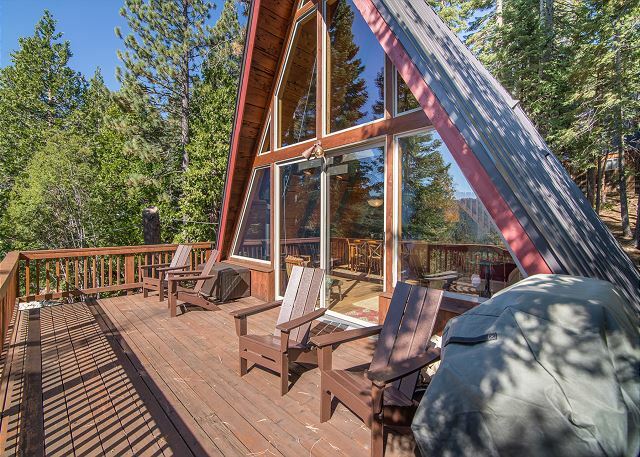 The home's mountain-casual interior is matched by Tahoe's year-round outdoor fun. 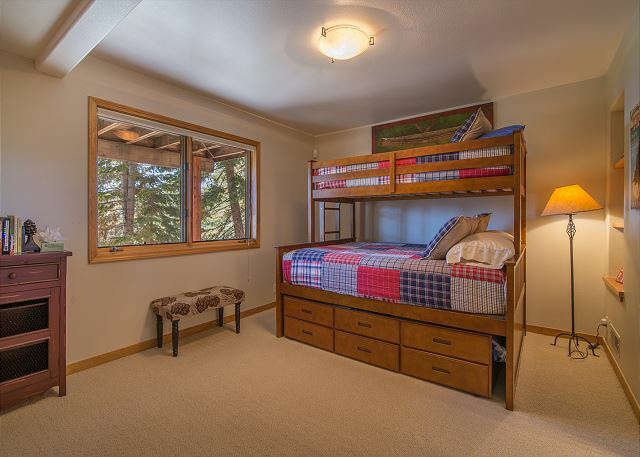 * Great location for hiking, biking, sledding, skiing, etc. - The first level has one bedroom, one bathroom, and the washer/dryer. - The 2nd level features the living room with the fireplace, the kitchen, the dining area, a bedroom with the bathroom, and access to the large deck. 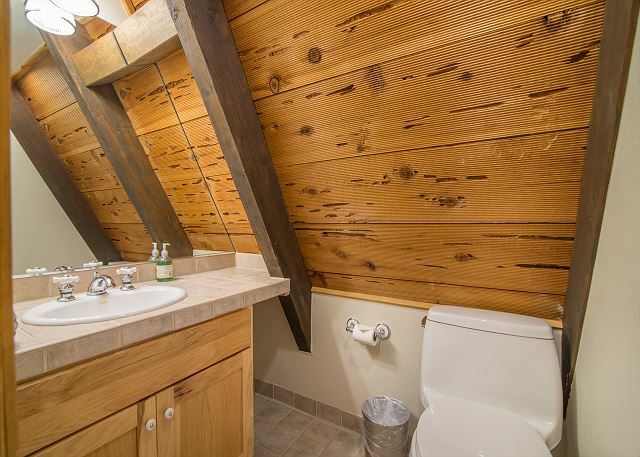 - The 3rd level is a loft with a bedroom and a half bathroom. *Note: you will need to climb a large set of steep stairs to access the cabin, and parking is limited and our parking area is on the street. 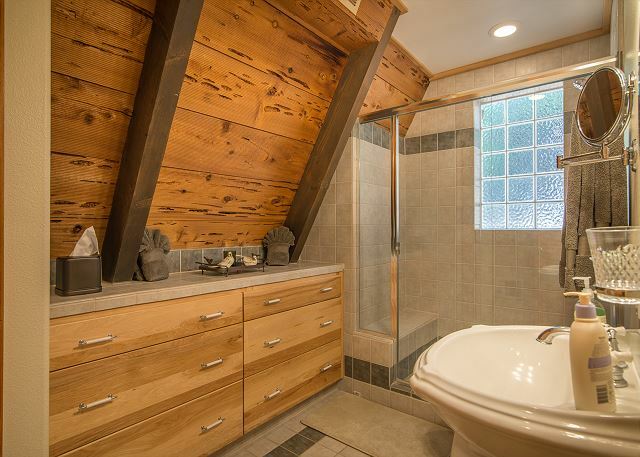 This home has several stairs and may not be suitable for those with mobility issues. We had such a great time at this cabin. Everything was clean, new, and easy to find. It had such a warm cozy and relaxed feel. All of the amenities lived up to expectations. The fireplace was such an awesome touch. This place was everything that was advertised and more. 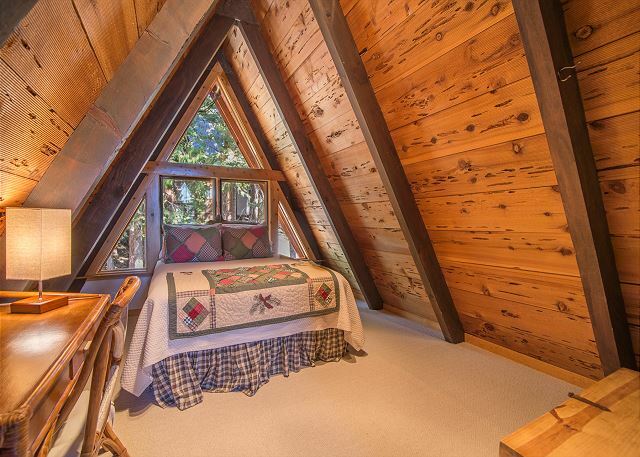 A gorgeous, well maintained, cozy A-Frame. We had a girls trip for the weekend so the open concept was perfect for our group. We cooked, hung out by the fireplace, watched the gorgeous mountain from the balcony, played games (house has plenty) and of course hit the mountains (ski resorts ate 7 minutes away). Great for families, a romantic weekend, or a friends trip! The location is tucked away so it seems you are remote but you're 7 minutes from all of the action. We loved it!!!! Sounds like your trip to the mountains was amazing. Thank you for the great review. We love this home as much as you do. 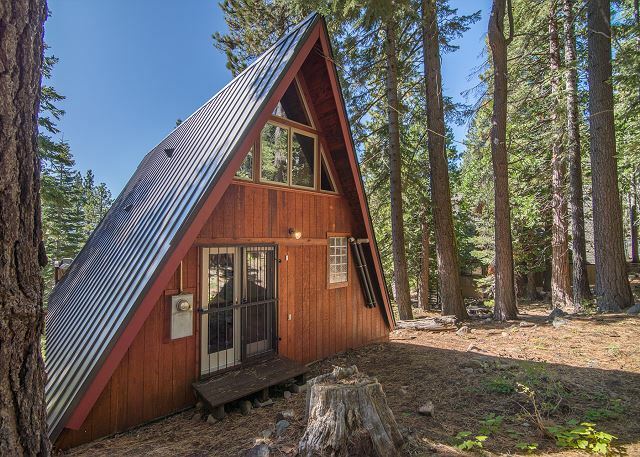 We had a great time in this perfect A-frame home. 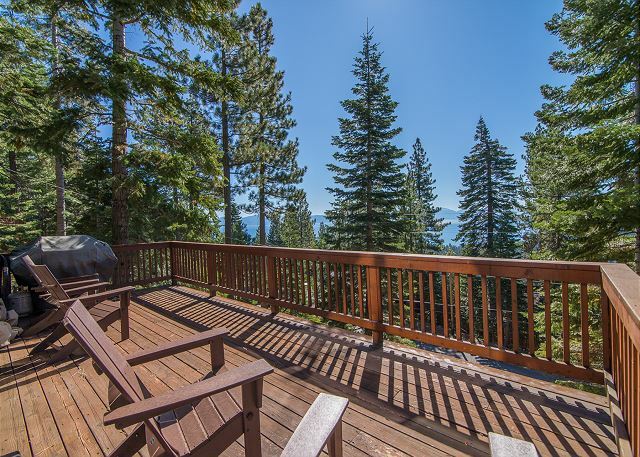 It was peaceful, close to Tahoe City/private beach/hiking and the amenities were of great quality. We will definitely visit again. We are glad you liked our home. We are looking forward to seeing you in the future. Eight of us stayed here for a birthday vacation and we all thought the house was great. Clean, comfortable, and a nice view from the deck. 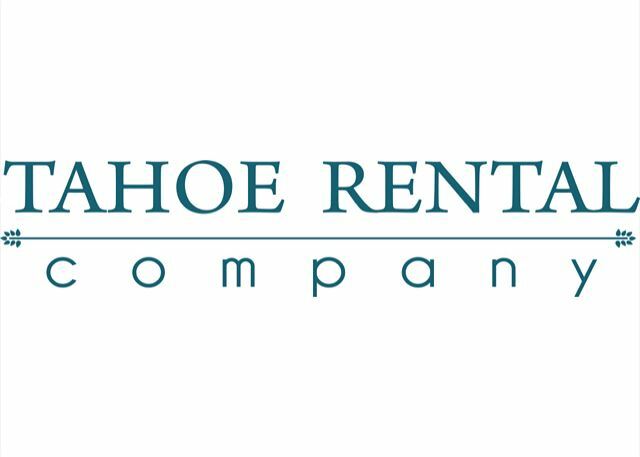 Close to restaurants and groceries in Tahoe City and all the West Shore beaches. Also comes with access to a gorgeous private HOA area with grills, picnic tables, bocce, etc. We had a great time and would stay again in a heartbeat. We are happy you enjoyed your Birthday Vacation and would love to host you again! Disappointed in so many ways! I stood here with my family for a week. 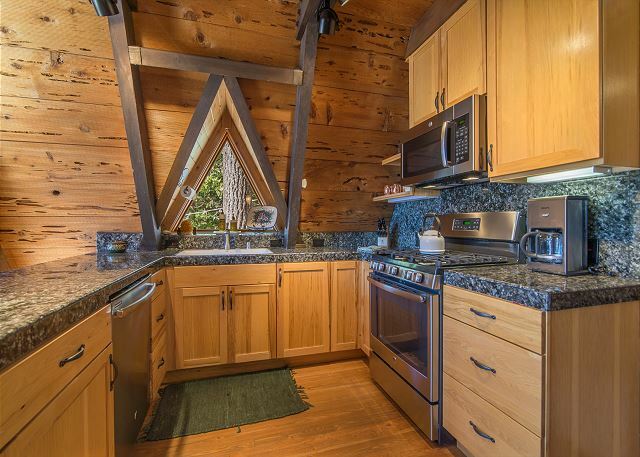 The cabin has partial lake views; so many trees obstruct the view of the lake. On a cloudy day forget it, you can't even see it. They don't mentioned in the rental that there is no driveway to park and/or unload your vehicles. Your parking is on the street so climbing about 30/40 steps every time you return/leave the cabin. The cabin wasn't cleaned properly. Old goldfish crackers were left under the couches in the living room. The propane tank was left almost empty; we couldn't BBQ the remaining days of our stay. The towels they provide were filthy; stuff stuck to them. Bugs, dead & alive spiders & webs were throughout the cabin rooms. The filter for the air/ heating was beyond filthy; can't believe my family & I were breathing the air throughout the cabin. When we arrive on Sunday the trash boxes at the bottom of the ext. stairs were full;keep in mind that the trash pickup is Thursday. When I complained to the management office, they told me why didn't I mentioned these items when I first arrived. I told them that I didn't noticed until mid stay. For the checkout instructions; they ask that you strip the beds & place all the dirty liens/ towels in the laundry room & possibly start the 1st load. Why am I paying a cleaning fee if I'm doing their job? Overall I'm not pleased with this cabin rental & I wont be staying here again. I've stood in many cabins not once did these issues occur there. We are disappointed that Alana didn't enjoy her stay, however we would like to address a few of her issues. We have had many compliments on our cabin and the view from the deck, but unfortunately it was smoky due to a large Northern California fire, which is probably why she couldn't see the lake. Our listing clearly states that there are several stairs to get to the house and that there is limited parking (street only) as we want to prevent any surprises when people arrive. The air filter was replaced at the cabin last month. We would have been happy to arrange trash pick up and bring a new propane tank if our office was notified as we pride ourselves in being responsive to our guests, whether notified at arrival or in the middle of their stay. In regards to the cleanliness, our housekeepers do a great job but we will reach out them about Alana's concerns. Thank you so much for the great review. We're so happy you loved the cabin and look forward to having you back soon. This trip was last minute with a lot of moving pieces. So glad we did it!,, <br/>The house was so cozy and cute. Loved arriving with the fireplace turned on. Super comfortable and functional for our family. <br/>Thank you for a great few days! We're so happy you enjoyed your stay and hope you come back again soon. Thanks for the great review!